Prostatic carcinogenesis is a multi-step process involving progression from precancerous cells to cells that uncontrollably proliferate and metastasize. Understanding the molecular events driving the progression is critical to the early detection of and choice of treatment for prostate cancer. The growth and development of prostate cancer appears to be initially androgen-dependent, making it vulnerable to androgen ablation and anti-androgen therapies (1). 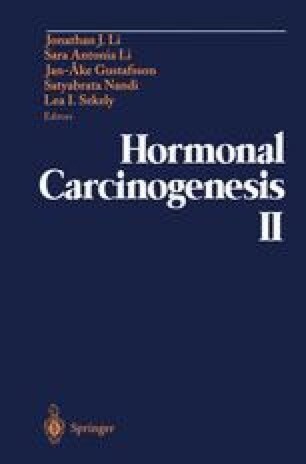 However, prostate cancer cells gradually lose androgen dependency, and tumor cells which are resistant to endocrine therapy ultimately proliferate. While loss of androgen receptor (AR) expression may accompany loss of androgen dependency and responsiveness (2), other prerequisite cellular events may occur which allow cell proliferation to bypass the androgen requirement. Loss of AR expression may either drive the selection for such events or occur secondarily (3).